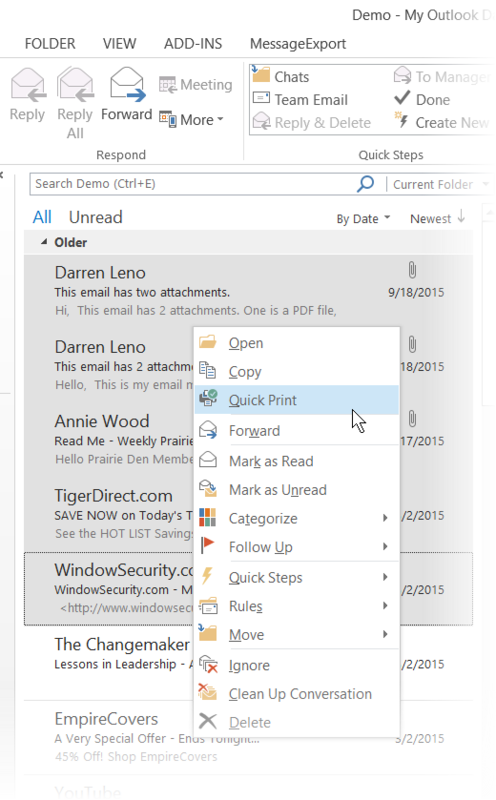 So you need to print out a bunch of emails? You’ve come to the right place. This article will discuss serveral ways to bulk print email messages. Most email clients have this ability, or something similar. It’s possible your situation may be more complex. For example, what if you are a legal secretary tasked with printing out emails involved in a legal case, and the messages you received in discovery are in different formats, and not viewable in your email client software? 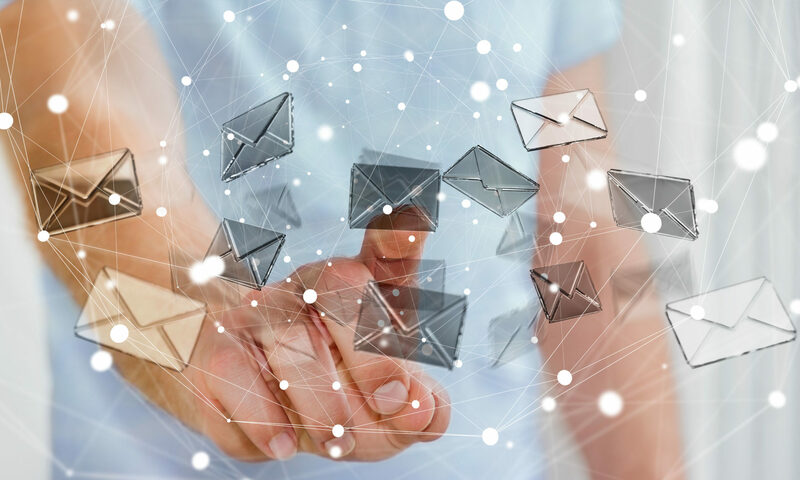 Quality email viewing software can open email messages that are stored in many different formats, including Outlook .pst or .ost files, individual emails saved as .msg or .eml files, .mbox, or winmail.dat files. 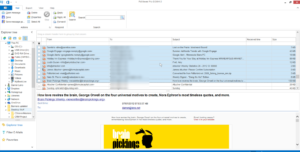 Using an email viewer like Encryptomatic LLC’s PstViewer Pro can be an easy way to gain quick access to emails without the need install multiple email clients on your computer. PstViewer Pro can organize multiple email messages into a single list even if they have different formats. 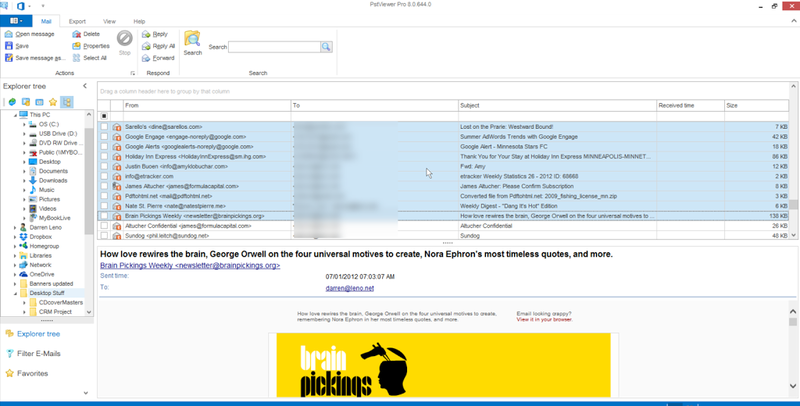 For example, .msg and .eml emails can be bundled together into one view. This makes it possible to discover similar email content by applying search filters across different types of email content. To select all of the email content in the list for printing, type ‘Control A” on your Windows keyboard, then select Print. For more information about printing with PstViewer Pro, feel free to reach us using the Live Chat on this website, post them in the comments, or email the support team: supportline at encryptomatic.com. Download a free trial of PstViewer Pro. 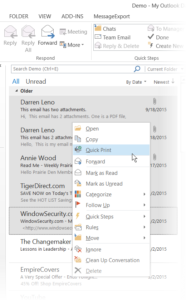 Previous PostPrevious What are Winmail.dat files and How Do I Open Them?